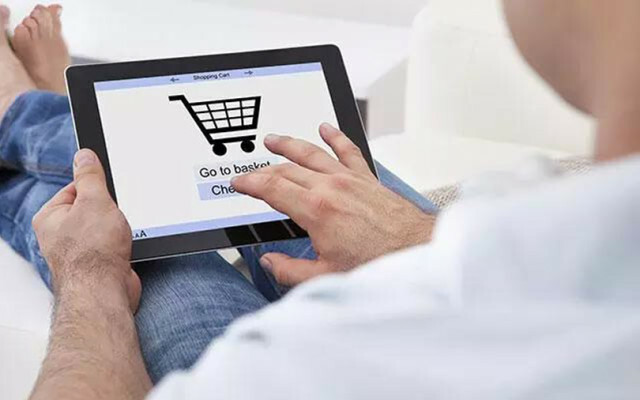 Mumbai-based Shop101, a mobile storefront and commerce platform for sellers, has raised $5 million (Rs 34 crore) in a Series A round led by Stellaris Venture Partners, a company statement said. Vy Capital, TaxiForSure’s co-founder Raghunandan G, and Livspace’s co-founder Ramakant Sharma also participated in the round. Shop101, operated by O(1) India Private Limited, will use the capital to strengthen its core leadership and product teams, scale its supplier network, and enhance its technology platform, the statement added. “Social commerce provides a more human touch to an online selling experience and opens up a new set of opportunities by tapping into the next 500 million users by providing a layer of trust and curation,” Rahul Chowdhari, partner at Stellaris Venture Partners stated. As part of the transaction, Chowdhari will represent Stellaris on the board of Shop101. Shop101 was founded in 2015 by IIT Kanpur batchmates Abhinav Jain and Aditya Gupta. The three-year-old firm helps small merchants and sellers showcase their products online by helping them create a mobile storefront. It helps its users sell their products on popular social media networks such as WhatsApp, Facebook, Instagram, and other social channels. Besides, it also provides last-mile logistics through its tie-ups with third-party logistics players. As per information on its website, Shop101 caters to 20,000 pin codes across India. Since inception, the company has disbursed and dispatched more than 5 lakh orders on its platform worth more than Rs 100 crore in gross order value, according to information on its website. “We have grown 25-30% month-on-month over the last couple of years and empowered more than 3 lakh entrepreneurs across the country with reliable and scalable technology, extensive range of products on the supply platform, pan-India logistics, and payment solutions,” Jain, co-founder and chief executive of the venture, stated. An MBA from IIM Ahmedabad, Jain was previously advising companies and private equity funds during his tenure at global management consulting firm Bain & Co. Co-founder Gupta was formerly an analyst with Deutsche Bank and was part of the technical team at Oracle in an earlier stint. The broader e-commerce enabler space in India has garnered significant investor interest over the past few months. Last week, Anchanto, a Singapore- and Pune-based e-commerce fulfillment platform, raised $4 million (Rs 27 crore) as part of the first close of its Series C round led by MDI Ventures, the corporate venture capital arm of Indonesia-based telecommunications major Telkom Indonesia. In late June, venture capital firm Saha Fund made a new bet in e-commerce enabling platform Shoptimize India. In early June, Bangalore- and California-based Meesho, an online marketplace for resellers, raised $11.5 million (Rs 77 crore) in a Series B round of funding led by Sequoia Capital India. In May, VCCircle reported that PE-backed e-commerce logistics company Delhivery was planning to list on the stock exchange and had approached investment banks to run the mandate for its share sale. In March, VCCircle reported that Eunimart, an artificial intelligence-based platform for cross-border e-commerce, raised an undisclosed amount from Agility, a Kuwait-headquartered publicly-traded global logistics company. In January, VCCircle had reported that Delhi-based e-commerce enabler KartRocket.com raised Rs 26.64 crore ($4.1 million) in a funding round led by existing investor Bertelsmann India Investments.